Whether you’re still at school and considering your options, looking for the right course or training provider, seeking recognition for skills and experience you already have, considering an apprenticeship or traineeship, or wanting to study in Western Australia, we can help. In today’s competitive job market, it’s important to have the right skills and qualifications. Training gives you practical skills which employers are looking for, giving you a greater competitive edge over others. For all information about vocational education and training (VET) courses in WA; including assistance choosing a training course and/or a training provider, a search facility for over 3,000 publicly funded VET courses and qualifications, information about apprenticeships and traineeships, how to apply and enrol, course fees, training pathways and the support and assistance programs available to help people get into training, please go to the Jobs and Skills WA website. changes to WA TAFE colleges. Training gives you practical skills that employers are looking for, giving you a greater competitive edge over others who don’t have a qualification. There’s a huge range of training on offer from TAFE colleges and private training providers; with everything from the traditional trades such as building and construction or electrical, to the creative arts and design, through to education, fitness or health, and high-tech training in areas like computing, information technology and engineering. help you to explore and plan your career options. If you do a VET qualification while you are a full time secondary student, this may also count towards your Western Australian Certificate of Education. You can find out more about this on the Schools Curriculum and Standards Authority (SCSA) website. Apprenticeships and traineeships are an excellent way to combine training with work, enabling you to have a job while you complete training towards a nationally recognised qualification. They are available to anyone of working age. You can do an apprenticeship or traineeship if you are a school-leaver, re-entering the workforce or as an adult worker simply wishing to change careers. You can even begin your apprenticeship or traineeship while you're still at school in years 11 and 12. When you finish your apprenticeship or traineeship you will have a nationally recognised qualification that's held in high regard in many overseas countries as well. If you have already decided what area of study you want to pursue, your next step is to find a training provider that offers the course or qualification you’re interested in. 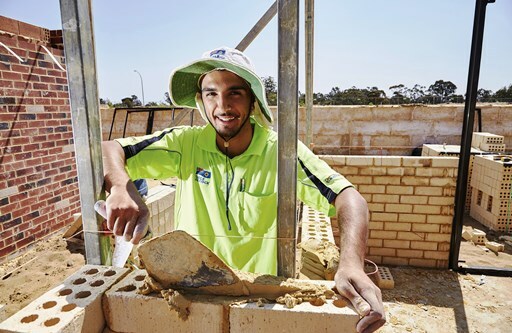 There are over 500 registered training providers across Western Australia, and together they offer more than 1 000 nationally recognised VET courses and qualifications, and access to a range of traineeships and apprenticeships. Once you have decided on the course you want to do, and found a training provider that you’re happy with, the next step is to enrol in your course. It’s a good idea to contact the training provider directly or check their website for any eligibility requirements you need to meet, and get the dates and other details for enrolling. 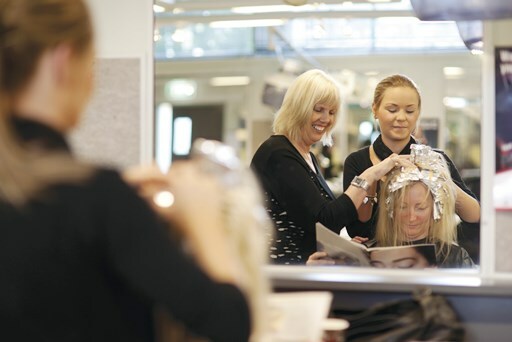 Each of the TAFE colleges provides this information on their website, as do most private training providers. TAFE International Western Australia is the Western Australian government service that provides a gateway for international students wishing to study at a WA TAFE. All international students applying to study at a Western Australian TAFE college must apply through TIWA. TIWA also manages the placement and fee collection of overseas students into public schools, in line with the Department of Education's requirements. To find out more about TIWA’s services, please visit the TIWA website or you can come in and see us at the East Perth TAFE campus in Building B, Level 2, 140 Royal Street East Perth. Our contact details can be found on our website. The Department funds a range of support services for students through its Participation program courses. Registered training providers who are approved to deliver courses in this program may offer support and services such as mentoring, counselling, assistance with meals, transport, child care, language and literacy to help people access and attend training. The program also assists with support for job seeking, resumé writing and work experience for eligible students. We have invited selected Government and community organisations, which assist people in a range of life or work issues, to be participation referral agents to help us promote this training. A referral from an agent will assist students in getting access to additional support. Students can self-nominate if they meet the eligibility requirements. equity courses that support people with disability and people seeking courses that are aligned with their culture; for example, a qualification specialising in Indigenous Australian tourism. Through Jobs and Skills WA, these courses are subsidised by the State Government so that you pay only a small fee. To find out more about how you could win a share in more than $80 000 in cash and prizes and the chance to represent WA at the Australian Training Awards, please visit the WA Training Awards website. WorldSkills competitions aim to develop and nurture the skills of young Australians aged 23 and under. Their purpose is to promote and build a skills culture by inspiring young people, celebrating skills excellence and providing them with an opportunity to showcase their trade and skill talent. In WA, competitions are held across five regions in over 40 skills areas, including VET in Schools, and winners may progress to national and international level. To find out more, please visit the WorldSkills WA web page. The Department provides and/or supports scholarship programs that provide opportunities for people to engage with vocational education and training. Information and updates about scholarship programs, when they are available will be provided here. The ability displayed by a number of individuals with autism for extreme attention to detail, appreciation of predictability and capacity to focus is valuable to the ICT industry, particularly for software development, testing and cybersecurity. The Autism Academy for Software Quality Assurance, the Autism Association of Western Australia and the Department of Training and Workforce Development are working together to deliver a scholarship program to harness the unique skills of people on the Autism spectrum or with related conditions. The scholarship is now open for second semester 2019. Up to $5,000 per recipient, funded by the Department, is available to cover the fees of eligible students to study IT, programming, cybersecurity or software development courses at Certificate IV and Diploma levels. The Department collects and reports a range of statistical information to track engagement and measure the outcomes of vocational education and training in Western Australia. 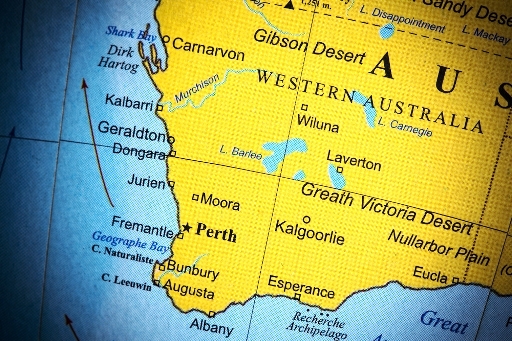 Funded training providers are required to report enrolment activity according to the rules of the Western Australian VET enrolment data standard, which incorporates the full national standard (AVETMISS for providers) plus additional State requirements. The Key VET enrolment statistics report shows a summary of all training funded by or through the Department, including funding categories, age group, disability status, level of education and training provider. Please note that VET enrolment data is not directly comparable with the apprenticeship and traineeship contracts data available below – the two different data sources are not statistically compatible and should not be combined. The Student satisfaction survey is used to measure the quality of service provided by Western Australia's TAFEs and to gain a better understanding of their customers and their needs. The latest (2017) survey shows 87.3% of students were satisfied with their course. Students experienced the highest levels of satisfaction with the quality of lecturers (85.8%), how convenient the training provider’s location is (82.3%) and how likely it is that the course will lead to a job / career (81.7%). The three most important factors when choosing where to study were the location of the training provider (31.7%); the quality of the course (10.5%); and the flexible course options (10.3%). For more information on the student satisfaction rates, you can read the Student satisfaction survey 2017: WA State report. To request reports from previous years, please use our online enquiry form. Apprenticeship and traineeship statistical reports are prepared in December, March, June and September of each year, and will be published on this website once noted by the Minister for Education and Training. If you would like to see reports from previous years or periods, please email your request to programs.data.requests@dtwd.wa.gov.au. The Quick stats summary report shows apprentice and trainee commencements and in training figures including gender, school based, and metro/rural. The Completions by region report shows the number of apprenticeships and traineeships completed in the last 12 months compared with the two previous 12 month periods. The data breaks down into the categories; gender, age, and metro/rural. The In training by trade category report shows the in training totals and percentage distribution across all trade categories for apprentices and trainees, comparing the current totals with those at 12 months and 24 months prior. The Commencements and completions by region and trade category report shows the number of apprentice and trainee commencements and completions for the last 12 months compared with the two previous 12 month periods, according to trade category and the region of the employer's worksite (metro/rural). The Commencements by qualification report shows all apprenticeship and traineeship qualifications for the last three 12 month periods, ranked by the number of commencements in the last 12 months.